The medical physics sector is experiencing a significant uptick in M&A activity—so much so that this important niche of the healthcare industry promises to look very different in three to five years than it does today. Ever increasing regulation within the overall healthcare market requires that medical physics companies be aware of and responsive to changing trends in how large hospitals and medical systems purchase services, including medical physics. Widespread fragmentation – The industry is characterized by a preponderance of small independent businesses and the general absence of large-scale operators. This presents a compelling opportunity for private equity firms to buy into a middle market platform company and execute a roll up strategy or for medium to larger sized medical physics companies to expand via acquisition of smaller firms. Enhanced regulatory protocols – Increasingly stringent regulations have expanded both the number of machines and the elements of each machine that require inspection. For example, the Joint Commission recently released draft regulations on Fluoroscopy that will drive further demand for medical physics services. With increased regulations comes increased risk, which most health systems and hospitals will endeavor to mitigate by working with larger, more sophisticated medical physics companies. Increased consolidation of health systems and hospitals – Compounding the impetus for health systems and hospitals to contract with larger, more sophisticated medical physics companies is the recent surge in M&A among these types of organizations. Ever larger, these healthcare organizations are looking to consolidate their contracts with as few service providers as possible. Baby Boomer owners are looking to exit their businesses – Given the concentration of independent medical physics businesses, many of them are owned and operated by Baby Boomers bent on retirement. For many, selling the business is often the best option—especially given the glut of private equity capital in the healthcare industry. The convergence of these variables—none of which are expected to abate anytime soon—should lead to continued high levels of M&A activity for medical physics practices over the next several years. Who Are the Buyers? And What Are They Looking for in a Medical Physics Business? Active buyers in this space including both private equity firms that are seeking to either acquire new operating companies or add to existing medical physics investments, or larger strategic healthcare services companies seeking to diversify their service offerings. Despite being two very different types of buyers, both are evaluating prospective medical physics businesses for an acquisition based on the potential for long-term growth in the industry. Positive, growing EBITDA – First and foremost, buyers place a premium on a business’ earnings—namely the strength of its EBITDA and the extent to which it will likely grow in subsequent years. Both are critical to a business’ valuation. 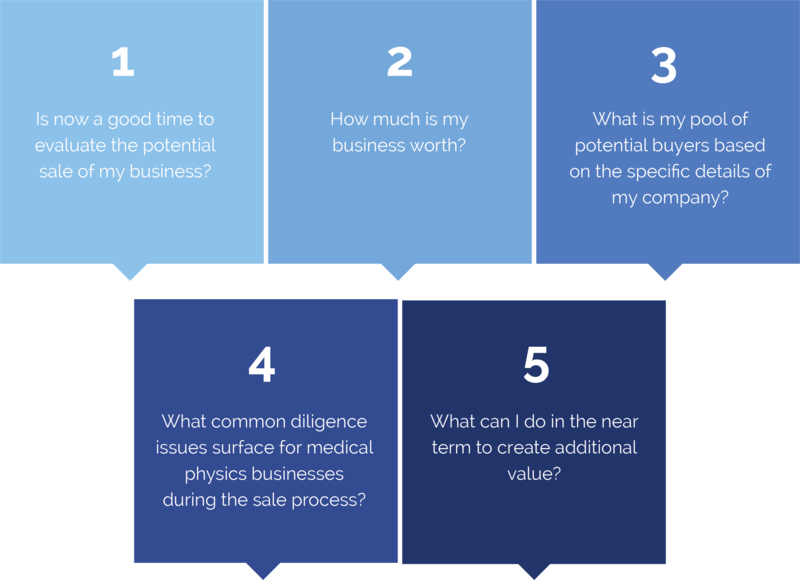 Multi-year contracts with health systems, hospitals, and imaging centers – Long-term contracts, especially with large-scale customers, validate the underlying value of a business, while clarifying its growth prospects. Composition of Revenue – Diagnostic vs. Therapy Services – Different buyers are focused on different sectors of the medical physics market and will value diagnostic related earnings differently than therapy related earnings. 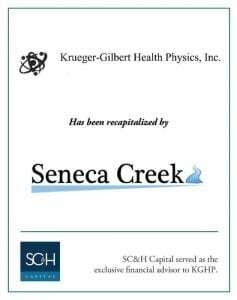 Employment agreements with key personnel – Given the specialized nature of medical physics—and the significant credentials required to assure the safe and effective delivery of radiation—a business’ physicists are integral to its valuation. Therefore, buyers value businesses that have long-term employment contracts with key personnel, complete with non-solicitation and non-compete clauses. A sophisticated corporate infrastructure – Finally, buyers are drawn to medical physics businesses that have sufficient corporate infrastructure to support the future growth of the business. The more scalable the operation is, the more comfortable a buyer will get with the higher growth potential of the business and a higher valuation. A track record of providing high quality technical customer service – The strength and longevity of a business’ track record of technical customer service is a key factor that contributes to a company’s ability to continue to grow in subsequent years. The higher a business’ retention rate, the less concern on the buyer’s part about post-acquisition churn that will impede overall growth. Buyers require empirical evidence of a medical physics business’ real value, as well as its likelihood of growth, especially given that we’re in the early stages of M&A and there is no shortage of attractive targets. The biggest challenge many medical physics businesses face is how to continue growing in an increasingly complex and competitive healthcare environment. 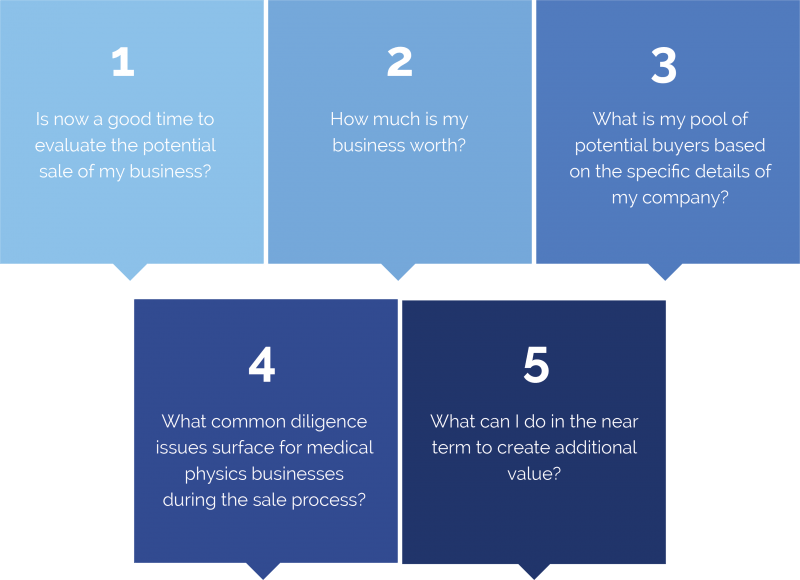 What Do Sellers of Medical Physics Businesses Need to Know? Medical physics businesses are a vital part of the strategic healthcare system of the future as the pressures on healthcare professionals to make their industry more cost effective are increasing. As the economic factors and the financial realities of an aging population increase this pressure, healthcare consolidation will intensify. Medical physics consolidation will likely continue coincident with the overall trend in the broader industry. 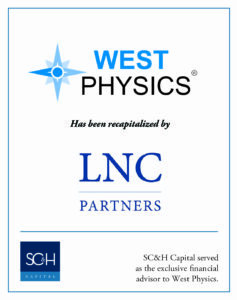 Given the wholesale changes we’re seeing, and will continue to see, the owners of medical physics businesses will invariably benefit from understanding the variables affecting their succession planning and strategic investments. 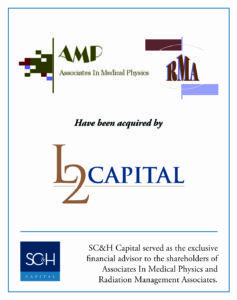 SC&H Capital recently completed its 3rd Medical Physics transaction and continues to see an increase in prospective deals in this space. If you are considering a sale, or have been approached by a buyer, we encourage you to Contact Us in order to guide you through this process. Greg Hogan is a Director with SC&H Capital and has more than 15 years of professional experience in M&A transaction, financial, and strategic advisory services. He has successfully advised buyers and sellers on a wide variety of corporate transactions valued at over a billion dollars. In addition to his M&A work, Hogan oversees SC&H’s rapidly growing Employee Stock Ownership Plan practice.